Real Techniques brushes were created by Makeup Artists Sam and Nic Chapman (the Pixiwoo sisters). 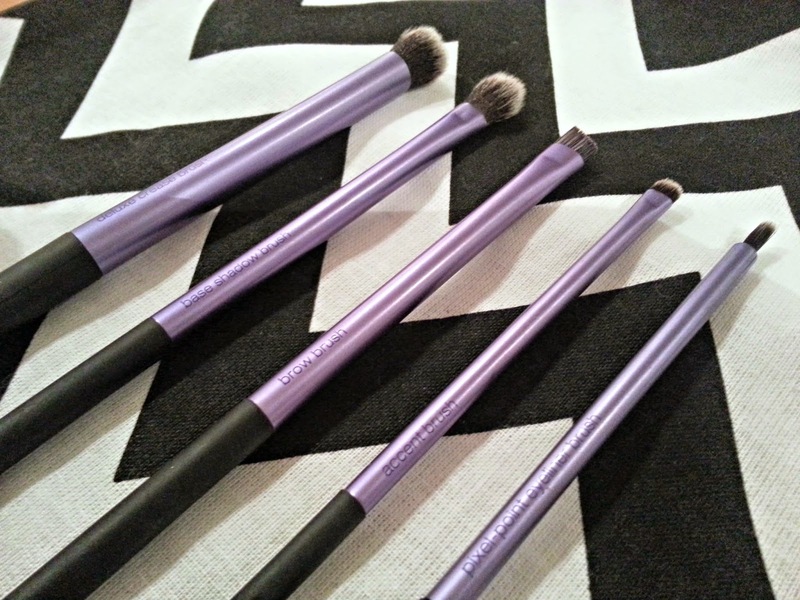 The brushes contain ultra plush and smooth taklon fibres for the bristles. Because they contain a synthetic fibre, they are cruelty free. According to their website, "the soft fibres help create a flawless, high-definition finish in any type of light - from sunlight to harsh indoor lighting". The brushes are colour coded with light aluminium ferrules and the brush heads are hand-cut to ensure the perfect shape. I use this brush every single day and I just love it. I use it to blend in my concealer and my foundation (whether conventional liquid foundation, or BB/CC cream). The uniquely shaped brush means that it's easy to work around the eyes and nose, and the dense bristles means that you get a lovely even application. The base of this brush is shaped so that it can actually stand up by itself, which is kinda cool. This brush is also so soft, it feels like you are painting your foundation on with a kitten. No jokes. The following four brushes form the Core Collection. I use this brush after applying my foundation with the Expert Face Brush to get a smooth, airbrushed finish. (I find that it's difficult to get a perfect finish with a brush that's been used to apply the product, so I like using a product-free brush afterwards). I also use this brush after contouring to soften and blend in product. This small brush is perfect for applying powder highlighting and contouring. I mentioned this brush in my Disappointing Products post as the only Real Techniques brush I've tried so far that I don't love, so I'm not going to describe it again. Right now, I'm using it to apply my eye primer so that I don't have to stick my fingers into the jar. This tiny brush is perfect for precision concealing. I love using it to add concealer to tidy up my brows after filling them in, and for neatening up the edges of bold lips. The following five brushes form the Starter Set. For all of the eye shadow brushes, I find that I have negligible fall-out, which is always the sign of a good brush! I actually use these first two brushes the "wrong way around". I use this larger, firmer brush to apply my base shadow all over my eye, to apply shadow to my lid and (after a spot clean) to blend shadows. On my eyes, at least, I find it easier to use the Base Shadow Brush in the crease (maybe because I have hooded lids?). It's a soft, fluffy brush that picks up product very well and blends beautifully. When I want bold, statement brows (like I often do!) I use this brush, slightly dampened, to fill in my brows using eye shadow powder. The bristles are dense and quite stiff (but still soft), so you have good control. This teeny tiny brush is perfect for fine detail around the eye, such as applying shadow to the lower lash line. I don't use this brush often (mostly because I'm too lazy for liner), but it is a great brush for when you want to apply a wet/damp eye shadow as an liner. I believe that Real Techniques does now ship to SA, however, so you can visit their website here. They also have lots of great how-to videos for the brushes, which is perfect if you're a novice that's uncertain or overwhelmed! Next up on my wishlist is the Blush Brush, Stippling Brush, Shading Brush and Powder Brush! One final note: you can't expect to get good results from brushes that have got weeks' worth of product gunked up in their bristles, so make sure that you wash your brushes regularly! I spot clean as needed using my Bioderma Micellar Water on a cotton pad, and then deep clean my brushes (esp those used with liquid products) once or twice a month. I also love my RT brushes! I really want to try the expert face brush next. 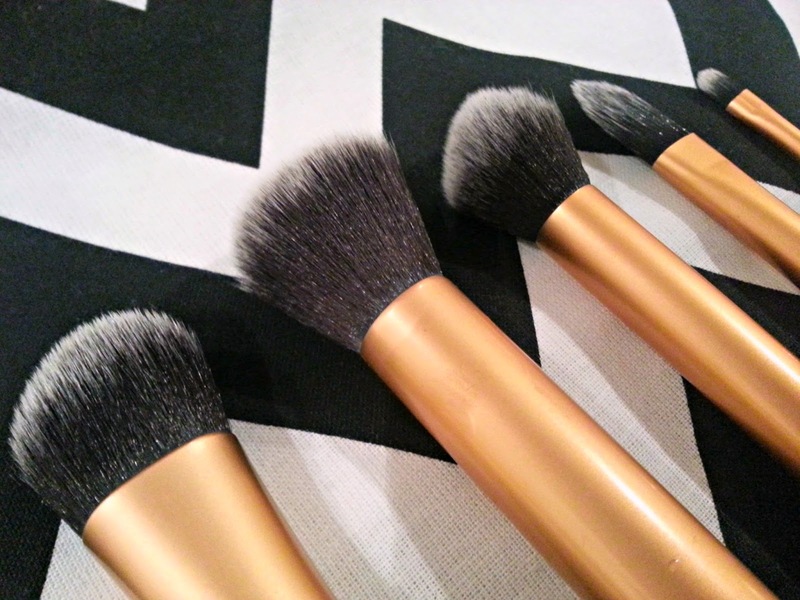 You need the blush brush in your life! I'm contemplating getting a second one so that I have one for blush and one for bronzer. I have the powder blush, but be warned: it is huge!